Autumn is just starting to make itself seen in our neck of the woods. I ADORE Fall and all things Fall related!!! Time for apple and pumpkin recipes to make appearances in our home!!! 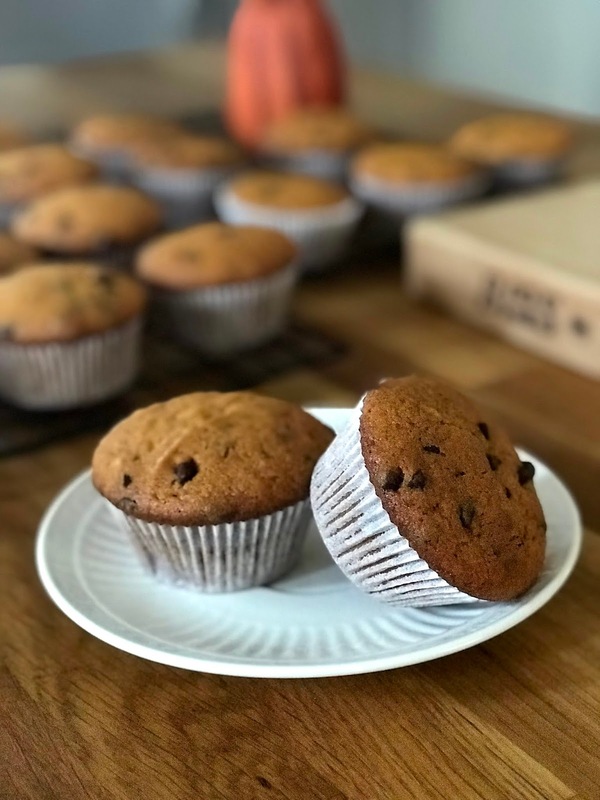 I recently tried a new muffin recipe- Pumpkin Chocolate Chip Muffins. These are SO delicious! (Almost dangerous for a sweets lover like me!!!) They were a hit with our entire family. Mix together the first four ingredients. Then add in remaining ingredients (yes, you read that right. Add them all in at the same time. I see no need for an extra mixing bowl.) Spoon into prepared muffin tins (either sprayed with nonstick spray or line with muffin liners) and bake at 350 degrees for 35-40 minutes (depends on how hot your oven runs). They are finished baking when they are lightly golden around the edges and a toothpick inserted in the muffin comes out clean. These make 18-24 regular sized muffins (depends on how much you spoon into each muffin tin). Plenty to enjoy that morning AND to freeze for another day!!! Your home will smell so delicious when these are baking!! Your family will be happy to be welcoming in the new season with these yummy breakfast treats! This, my friends, is my momma's Chicken Chili Stew. She's made it for years and I still LOVE IT!!!!! It's so good that it was chosen to be in the town newspaper once when we lived in Augusta. YUM!!!!!!! I always keep the ingredients around so that I can make this any time we need a savory, warm meal. This is excellent as it is, but I really like adding shredded cheddar and sour cream to mine. Feel free to add avocado or green onion, too, if you like!! 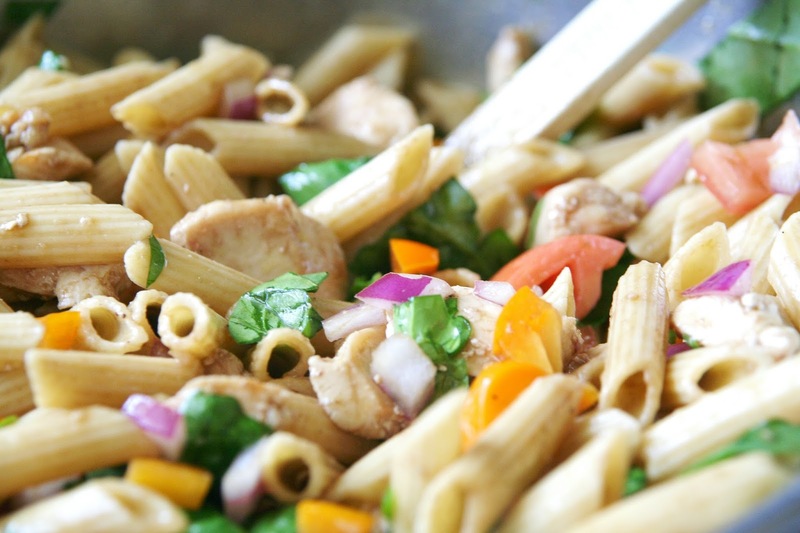 Heat oil in dutch oven and cook chicken, onion, and green pepper until chicken is no longer pink. Add garlic and stir until it's fragrant. Add remaining ingredients and simmer for 30 minutes. Ladle into bowls and add toppings as desired..
Wednesdays are typically our "oatmeal for breakfast" day around here. Not sure when or why that even started, but it stuck years ago and I haven't changed it since. 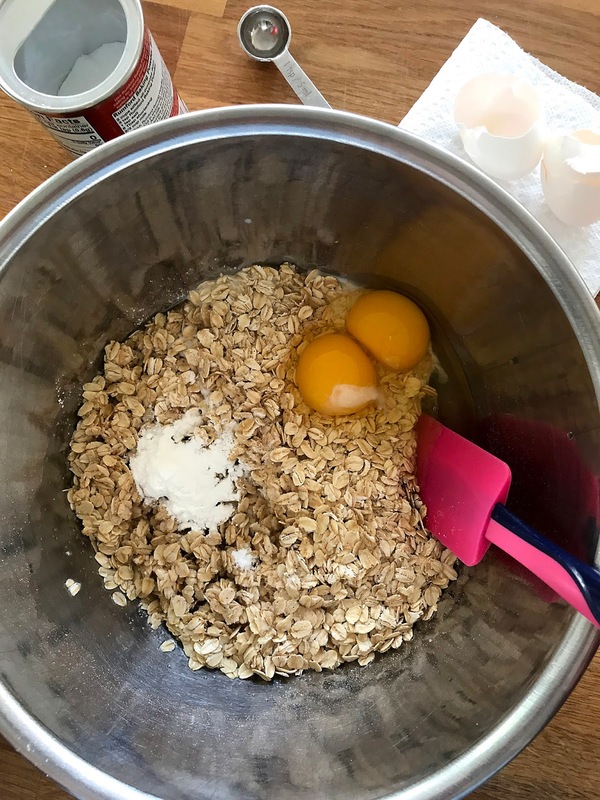 When I say "oatmeal for breakfast", I mean any breakfast recipe that uses oats. 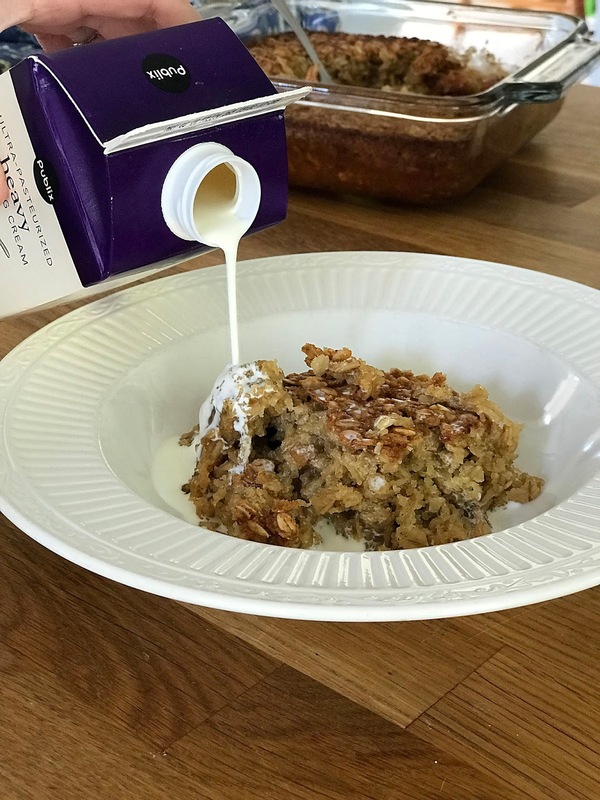 So for us that is either oatmeal pancakes, granola, regular old fashioned oatmeal (with butter, cream and brown sugar! YUMMM!!!) 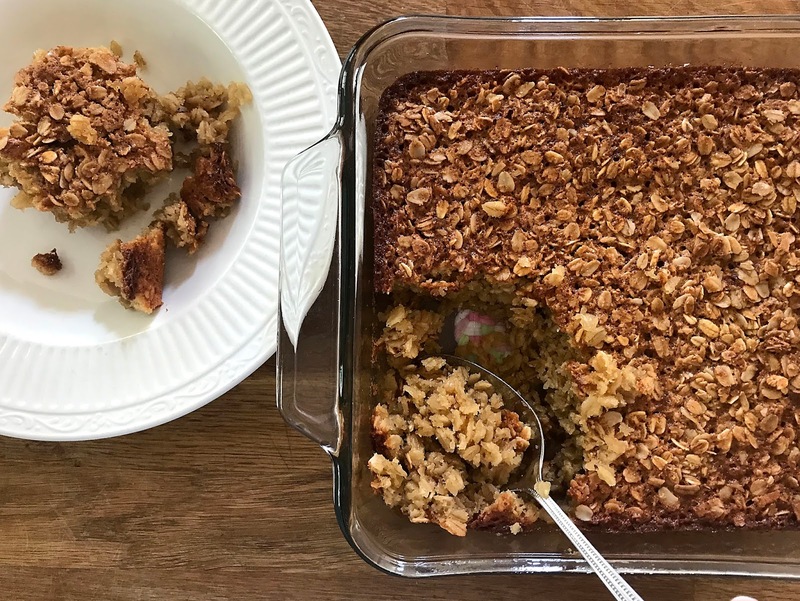 or this recipe I'm sharing today- Baked Oatmeal!!! 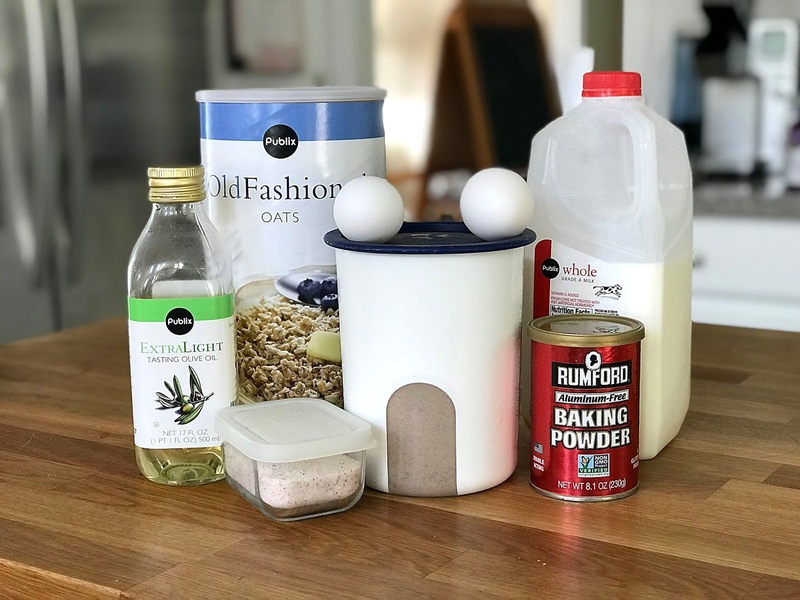 This list of ingredients needed is not fancy- butter, sugar, oats, eggs, oil, salt. Simple. But wait.... why did I say this is a TIME SAVER breakfast??? Oh dear friends! You make this THE NIGHT BEFORE!!! It takes mere minutes to mix together, then cover with plastic wrap, stick in the fridge overnight, and then next morning you just take off the plastic wrap and let it bake while you finish getting dressed. As soon as the timer of your oven goes off, everyone can sit down at the table to eat. Happy well-fed family and happy mother for extra minutes to get yourself and your children ready for the day. Mix all your ingredients together in a mixing bowl. Pour in a buttered 8x8 pan. Cover with plastic wrap and set in the fridge overnight. The next morning, take plastic wrap off your pan and bake for 45-50 minutes in a 350 degree oven. This makes 6 good sized servings. We prefer to serve this with heavy cream drizzled on top. Super tasty. Super easy. That's not just any old piece of bread sitting on the side of that dish. No way!! That's bread covered in Garlic Cream Cheese Spread!!! We have been making this DEEEEELICIOUS cream cheese spread for at least 15 years, if not more!!! 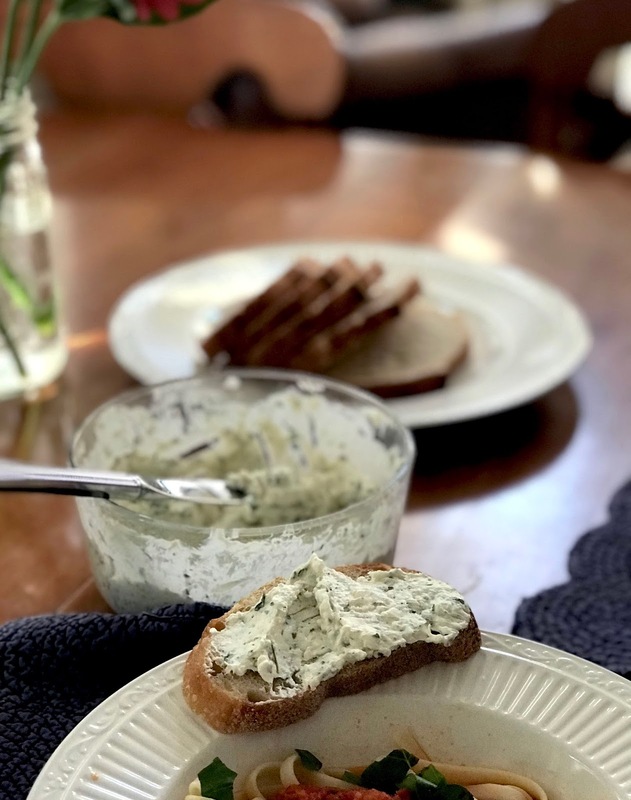 It's perfect on bagels, spread on sandwiches instead of mayonnaise, and even as a dip for veggies!!! But our FAVORITE way to eat it is slathered on French bread. OOOOOOOOH MY STARS!! Sure you can use butter or even garlic butter on top of your bread, BUT Y'ALL!! This takes bread to a whole new level of tasty!!! Be sure and try it soon and let me know how you and your family like it. In a bowl, mix together cream cheese, garlic, parmesan, and mayonnaise until thoroughly combined. Stir in Italian seasoning and parsley and mix well. This tastes great right away, but it's best after it's been chilled in the refrigerator about 4 hours. So don't just stand there, get mixing!! Y'all will SOOOOO enjoy this!! PANCAKES!!! Who doesn't love 'em??? I love all flavors and always think I can eat about 20 of them. Then I start eating and by the middle of number 2, I am pretty sure I'll never make it to 20. Does anyone else do that, too? My favorite memory of pancakes will always, always be my dad making them for our family each Sunday morning as we were growing up. Yep, we were THAT family- the family that always smelled like syrup in the middle of the sermon. But what a scrumptious way to start a Sunday morning!! 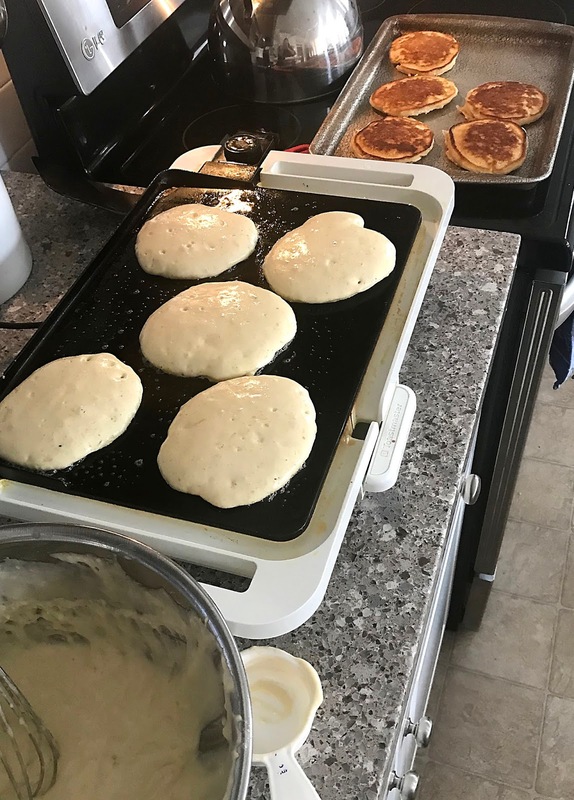 While I DO love eating pancakes, I DO NOT enjoy cooking them for just one meal. I much prefer tripling or quadrupling a pancake recipe and freezing all the extras!! 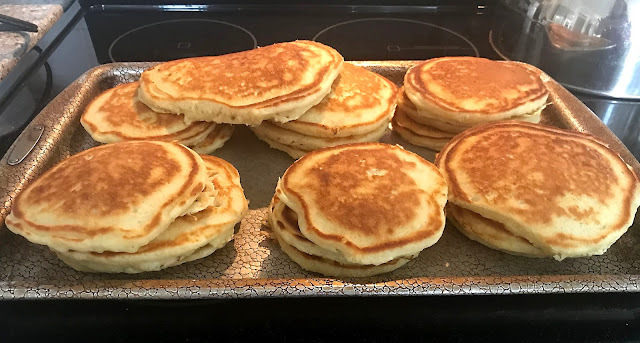 It SURELY makes for easier mornings when all you have to do is put one or two on a plate and microwave for 1 to 2 minutes and then drown them in maple syrup (and butter if you like!!). Oh yum!!! In the top picture above, you can see I was in the middle of making up a bunch of pancakes. I have my assembly line all set up- batter, griddle, cookie sheet to cool finished pancakes on AND to freeze them on. Here's the pancakes all piled up and ready for the freezer. 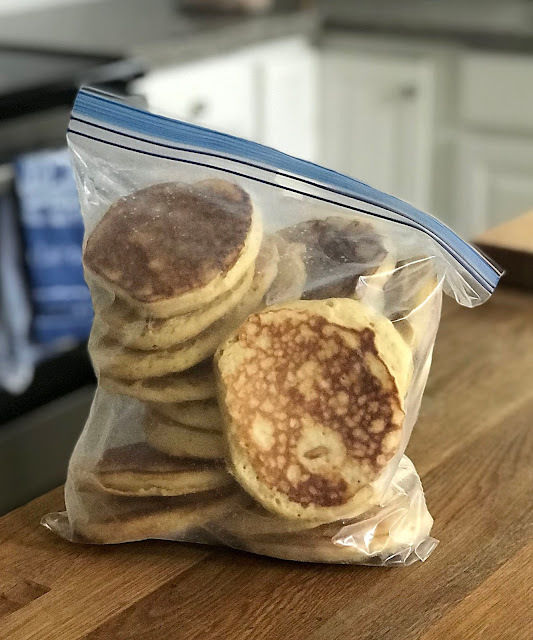 I put the cookie sheet with the pancakes stacked up like this right in the freezer. In a few hours, they're frozen solid. Then I'll separate them and store in a huge zip loc bag. And that's it!! This saves us so much time in the mornings!! Happy homemaking, y'all!!! 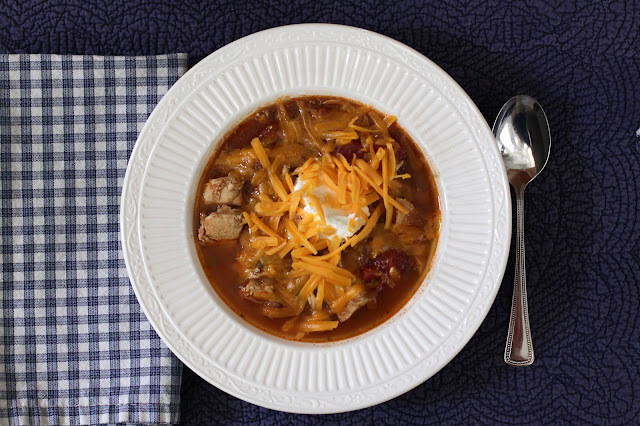 This yummy recipe is from an older issue of Southern Living magazine. This was quick and tasty! Even Mr. U loved this!! 1. Sauté chicken in 1 tablespoon hot olive oil in a medium skillet 5 to 6 minutes or until done. 2. Whisk together vinegar and mustard in a small bowl. Gradually whisk in 6 tablespoons olive oil until smooth. Season with salt and pepper to taste. 3. Cook pasta according to package directions; drain. Spread pasta in a single layer on a baking sheet. Drizzle with remaining 1 tablespoon olive oil. Let cool 10 minutes. 4. Toss together pasta, chicken, vinegar mixture, spinach, and remaining 3 ingredients in a large bowl. Season with salt and pepper to taste. Serve immediately, or, if desired, cover and chill 1 hour before serving. HOOORAY!!!! Strawberry season is here!!! 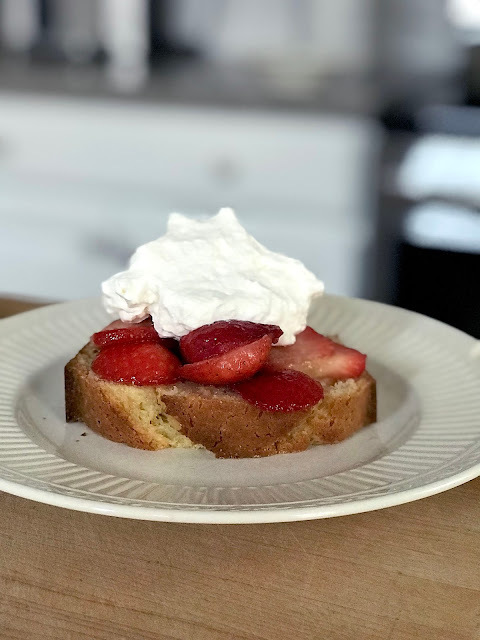 And it's time to share a wonderful Strawberry Shortcake recipe that I recently made. I'm sure lots of y'all follow Rhoda at Southern Hospitality. She's gorgeous. She can make a home BEAUTIFUL. She's just seems like such a sweetheart!!! I love her blog but I LOVE her instagram!! She shares of lots instastories and my favorites BY FAR are when she shares her weekly meals with her adorable parents. Her dad seems like such gentleman. And her mom!! Oh the food that she puts on the table each week!!! This recipe comes from Rhoda's mother!!! She found it in Parade magazine from April 19, 2009. Y'all, it is GOOD!! The PERFECT cake for Strawberry Shortcake- tastes like a simple pound cake!!!! The link is for the original recipe, but I listed below the way I made it. In a bowl, whisk together eggs, sugar, sour cream, vanilla, and oil. Gently measure out on top of that the flour, baking powder, and salt. Whisk together until it is smooth. 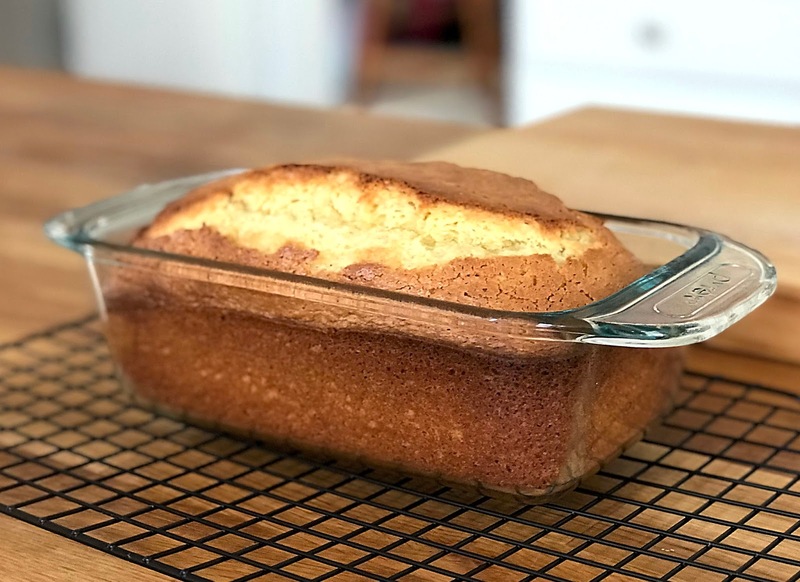 Pour into a prepared loaf pan (8x4x2). Bake in a 350 degree oven for 50-55 minutes until a toothpick comes out clean. Cool for 10 minutes in the pan and then turn out on cooling rack to cool. In a small bowl, place strawberries and toss with sugar. Let sit for an hour in the fridge. When ready to serve, slice the cake, top with strawberries, and a dollop of your choice of whipped cream. So SO good! !